DESCRIPTION Imagine Yourself Here This Spring and Summer, Enjoying the Unobstructed Mountain and Golf Course Views From Almost Every Room in the House or Walk, Run or Ride the Miles of Paved Path System that Surround Gleneagles. Located on a Quiet Street This Beautiful Home Includes a Low Maintenance Brick Exterior, Clay Tile Roof (still on warranty) & Fully Landscaped Yard. Recent Updates Include Beautifully Done Kitchen, Spa Like Ensuite and Main Floor Bath all Professionally Renovated Including Cabinets, Granite Counters and Stainless Steel Appliances, Engineered Hardwood Floors, and New Interior Doors. Main Floor has Den, Separate Dining Room, Laundry and Master Bedroom. Lower Level Walk Out has 2 Large Bedrooms and Lots of Room for Pool Table and Home Entertainment Including Refreshment Station and Gas Fireplace to Keep Things Cozy. Gleneagles is Conveniently Located for Quick Access Out of Town- only 30 Minutes to Downtown Calgary. Gleneagles Golf Course is a Public Course. Hot Tub & Pool Table Negotiable. 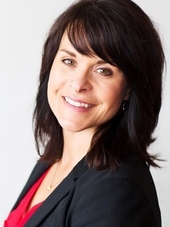 Shelly Kramer - "we love you" - when other did struggle for months to sell our house you did approach subject with profesionalism, energy and smile - in two weeks you make job done! Our old house got new happy owners - we move to new place! THANK YOU! Home for sale at 44 Gleneagles Cl Cochrane, Alberts T4C 1N8. 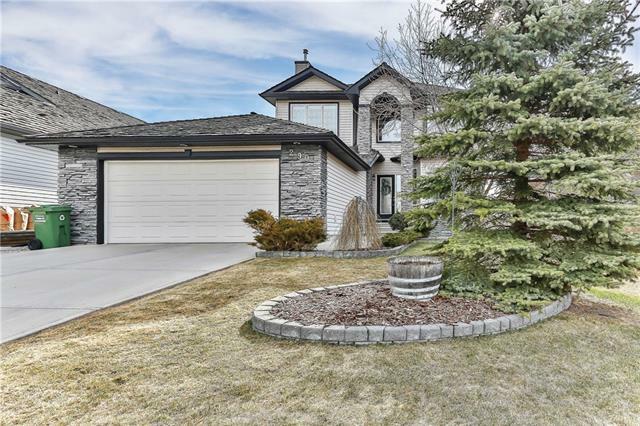 Description: The home at 44 Gleneagles Cl Cochrane, Alberta T4C 1N8 with the MLS® Number C4236602 is currently listed at $664,900. We moved from Ontario and were recommended Shelly. We initially made out of province contact with Shelly, to give her an idea of the logistics we were looking for and the budget we wanted to work within. Less then an hour later we had listings that met our criteria in our inbox. We met with Shelly to view listings the day after we arrived in Cochrane. She was very organized, had the info sheets for all of the listings printed for us, and had made arrangements for us to view all of the ones we had liked. Shelly was knowledgable on the different areas of Cochrane, and was honest as we viewed the listings. Shelly was prompt when we were ready to make an offer, and wasted no time getting in touch with the builder. When things didn't go as planned, Shelly didn't hesitate to help out and show us more properties. As first time home buyers, and being brand new to the area we needed someone who is organized because we needed to find something relatively quickly, honest because we were unfamiliar with the area, and helpful because we were new at home buying. Shelly went above and beyond to get us into a place we now call home. We will be recommending Shelly, and using her for our future home buying.